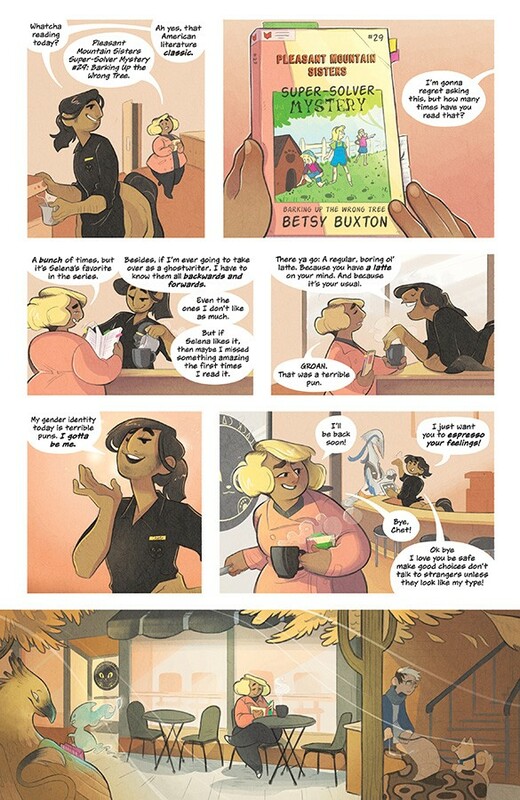 A NEW ONGOING SERIES from Lumberjanes creator GRACE ELLIS and talented newcomer SHAE BEAGLE that tells a story of monsters, romance, and magical hijinks! The first arc also includes an additional short story with artist KATE LETH! Fantasy creatures are living typical, unremarkable lives alongside humans, and barista Julie strives to be the most unremarkable of all. Normal job, normal almost-girlfriend, normal...werewolf transformations that happen when she gets upset? Yikes! But all bets are off when she and her centaur best friend Chet find themselves in the middle of a magical conspiracy. Will Julie and Chet be able to save their friends? Is Julie's dogged determination to be normal a lost cause? Who's going to watch the coffee shop while our heroes are out saving the world?? 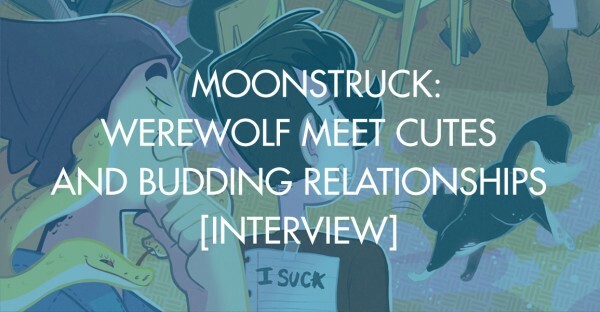 These questions and more will be answered in MOONSTRUCK, coming July 19 from Image Comics.